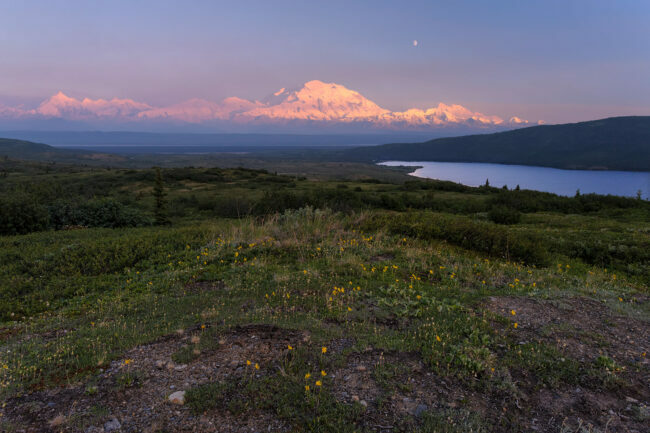 Directions: From the Denali National Park entrance, take the park bus towards Wonder Lake campground (6 hour bus ride). Alight the bus when it makes a left turn for the campground and walk about a mile on the park road to Reflection Pond, which is very well marked with a sign. Go a little further and find a spur trail that ventures left and takes you to a ridge with amazing views of Mt. 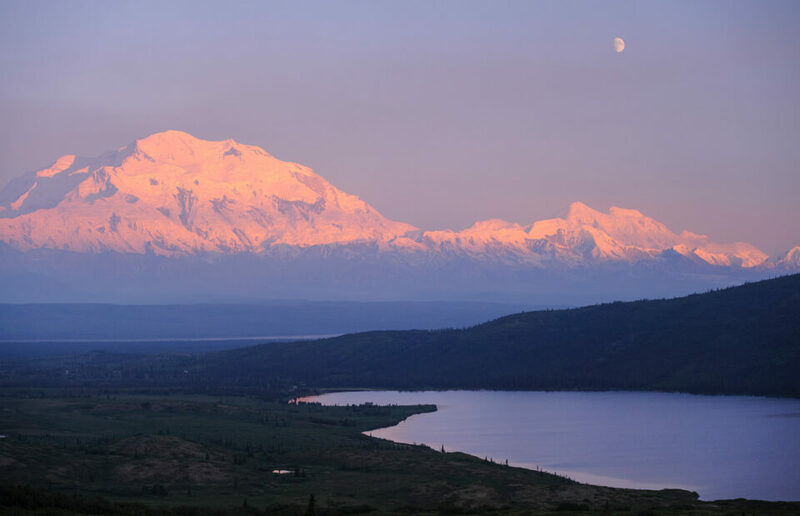 Denali and Wonder Lake. This spot is about 2.5 miles one way from Wonder Lake campground and is an easy 1 hour hike. It is best that you camp at Wonder Lake campground to access this location during the time when light is best for photography. In June 2013, I visited Denali National Park in Alaska and camped at Wonder Lake campground for 2 nights with couple of friends. We were there around summer solstice with 21 hours of daylight. The sunset happened at 12:30 am and sunrise was around 3:30 am. The golden hours were relatively long as the sun skimmed the horizon for several hours after rising or before setting. On our first day there, after setting up camp and having dinner, we hiked to the above mentioned spot around 10 pm and stayed there until sunset. During this time, we were lucky to get exceptional views of Mt. Denali and I made some memorable images. A gibbous moon and wildflowers were added bonuses. During our hike back, we stopped at Reflection Pond and I took several shots with a stitched panorama in my mind. It was considerably windy, which meant no reflections but no mosquitoes as well. The latter can be a real nuisance in June and July. 1. Wonder Lake campground gets booked fairly quickly so plan ahead if you want to camp here. 2. 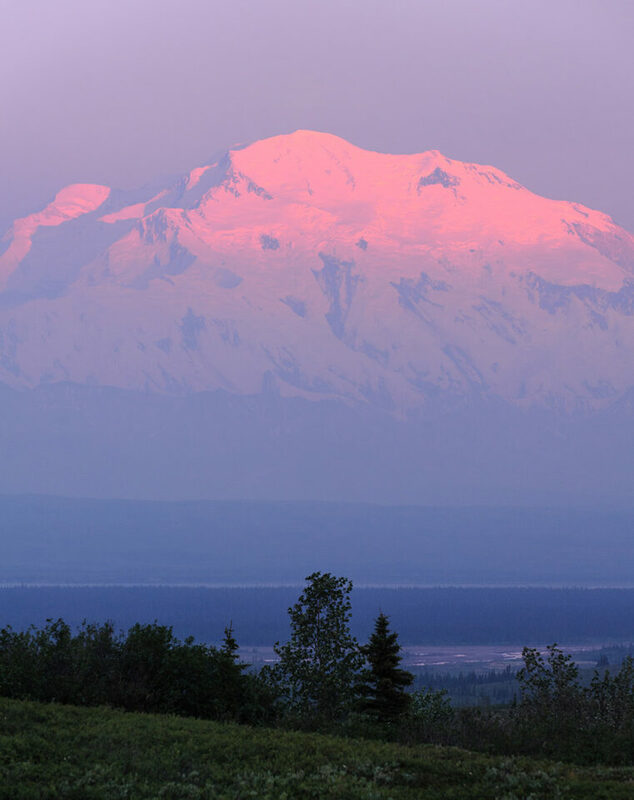 Denali National Park is about 4 hours by car from Anchorage airport. 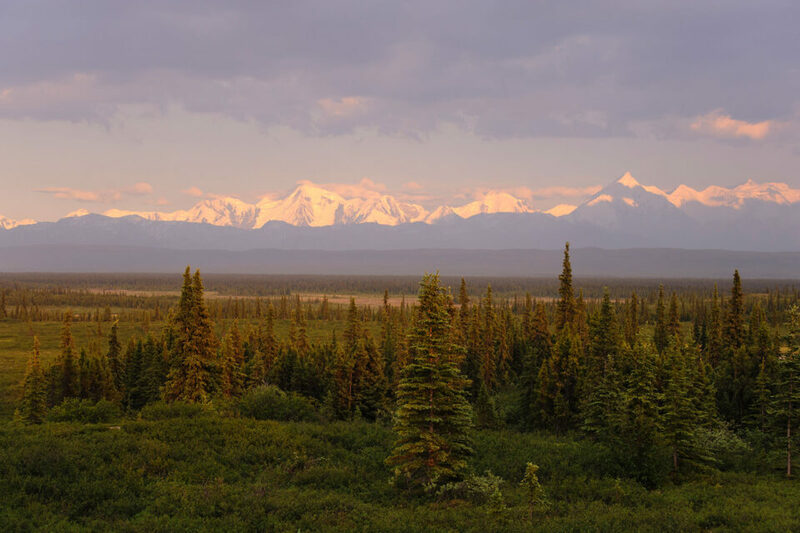 It can also be accessed by the famed Alaska Rail Road. 3. You will want to pack a rain/wind jacket and a good bug spray. It can get quite buggy during the early summer months. 4. I will carry a wide angle zoom (18-35mm), a mid-range zoom (24-120) and a 70-200mm lens at least for a trip to Denali National Park. If possible carry an 80-400mm instead of 70-200mm with a 1.4x tele converter. In this trip, I also carried 24mm f/2.8 ai and 55mm f/2.8 ai macro prime lenses as the former gives beautiful sunstars when shooting into the sun while the latter doubles up as a good portrait lens. 5. You will want to carry a tripod, and polarizer. It’s a trip to Alaska after all. Graduated ND filters can come in handy as well. 6. 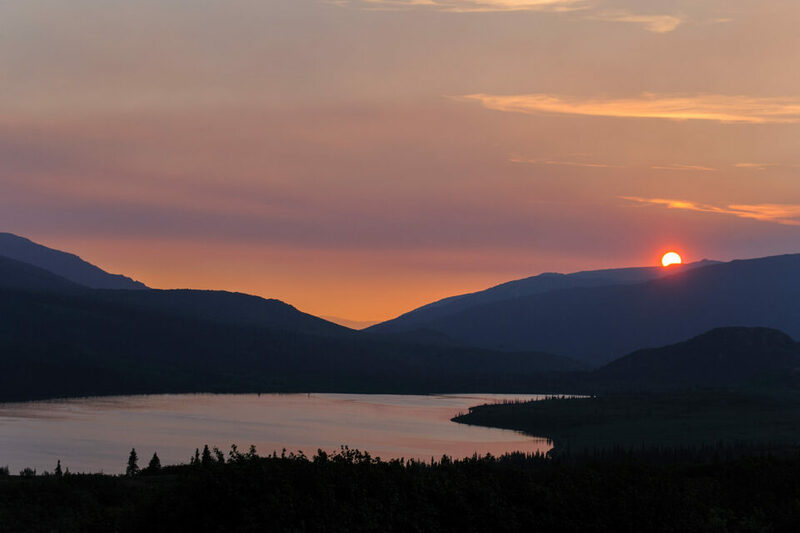 Best time: dawn to early morning and late evening to sunset when Mt. Denali glows with beautiful alpenglow. 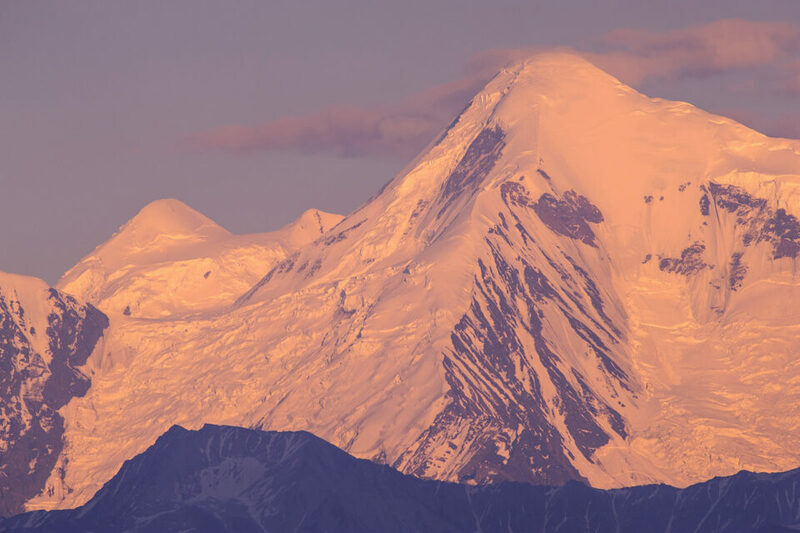 We are planning a trip to Alaska in Sept 2020 and would stay inside Denali (North face lodge). Wonder lake is about 1.5 miles walk from here. Any specific suggestions would be highly appreciated. We love photographing sunrises, sunsets, landscapes and wild life. We will also be visiting Anchorage, Seward and King Salmon, any scenic spots for photography?